Tap symbols for info. Tap for Full-Screen. This map shows accommodation for Söll. To locate Hotels and Chalets elsewhere, tap a marker or select a link from the menu to switch maps. Located 200 metres from Hexen6er in Söll, Villa Salvenberg offers accommodation with a kitchen. Guests can enjoy the free WiFi. The villa is equipped with a TV, 3 bedrooms and a living room. The property has a sauna. The Hotel Postwirt occupies a historic building in the centre of Söll. It includes a Tyrolean restaurant, a heated outdoor pool, and a modern spa area. Important Information Please inform Hotel Postwirt in advance of your expected arrival time. Make holiday and enjoy the rhythm of the country amidst the pure nature during all of the 4 seasons. The Skiwelt Wilder Kaiser Brixental is 2 km away. Free WiFi is available. Enjoy your holiday in our cosy, familiar hotel at the ‘Sonnbichl’ of Söll. DER GREIL - Wein & Gourmethotel is a 4-star hotel located in Söll, between the Wilder Kaiser and Hohe Salve mountains. It features a restaurant serving classic Austrian cuisine and fine wines. Free parking and free WiFi access are available. Only 3.5 km away from the lifts at the Wilder Kaiser/Brixental Ski Resort, Hotel Berghof offers a spa and a sunbathing terrace. It also has a restaurant, and in winter its own après-ski bar. Ferienhotel Tyrol Söll am Wilden Kaiser offers rooms with balcony and mountain view in a quiet location close to the village centre. Parking is available free of charge. The restaurant serves Tyrolean and international cuisine. Aparthotel Bergland offers country-style rooms and apartments close to the gondola lift and the ski slopes in Söll. Private parking and Wi-Fi is available free of charge. The rooms and apartments feature cable TV, bathrobes and hairdryers. 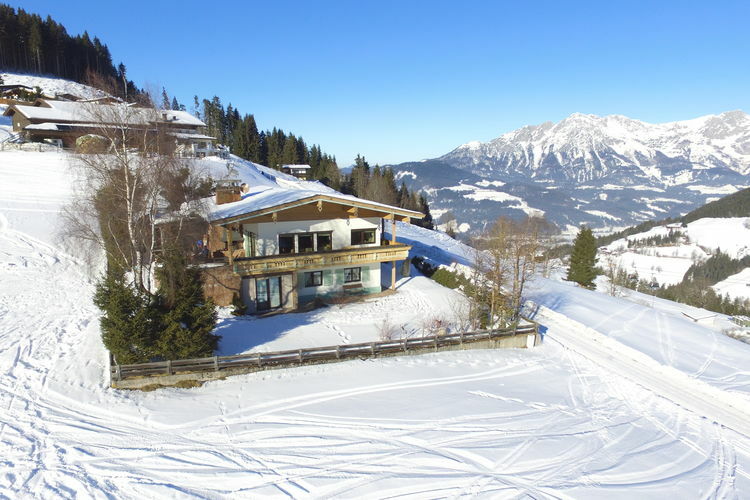 Annabella in Söll offers accommodation with free WiFi, 1.7 km from Knolln Ski Lift. The Hochsöllbahn is within 2.1 km of the apartment. This apartment comes with 2 bedrooms, a living room and a fully equipped kitchen. A TV is offered. Situated in Söll in the Tyrol region, Apartment Schindlhaus.2 has a balcony. The accommodation is 500 metres from the Knolln Ski Lift. The apartment is equipped with a satellite TV. The kitchen has a fridge. Apartment Schindlhaus.3 is set in Söll, 500 metres from Knolln Ski Lift, less than 1 km from Hochsöllbahn, as well as 5 km from Hexen6er. This property is 5 km from Rinner. Interhome is a vacation rental provider founded in 1965. Only a 5-minute walk away from the centre of Söll, this hotel is just next to the cross-country ski run and the ski bus stop. Hotel Gänsleit offers comfortable rooms with bathrobes. You have the choice between a balcony and a terrace. Located 3 km from Soell city centre, Gasthof Oberstegen is just a 5-minute drive from the Söll and Scheffau ski lifts. Important Information Please note that pets are not allowed during the winter season. For details of Winter Sports, including Snowboarding and Skiing in Söll, see also :- Söll, Ski Chalets, Snow Forecast, Snow Report, Ski Holidays, Ski Hire, Airport Transfers, Car Hire and Austria. Hotels in other popular Ski Areas near Söll. Ski Hire Shops in Söll. Piste and Lift Stats for Söll, Austria. Note :- Ski Hotel deals to Söll are subject to change until booked. You must check any particular requirements directly with the Operator at the time of booking. Warning :- Snow Sports are Dangerous! Skiing, snowboarding and all winter sports involve risk of serious injury or death. You MUST confirm all information, especially snow and weather conditions, in Söll before you ski or board. You participate at your own risk.